0-3 mths (3-6 mths, 6-12 mths, 12-18 mths, 18-24 mths, 2-3 years, 3-4 years). 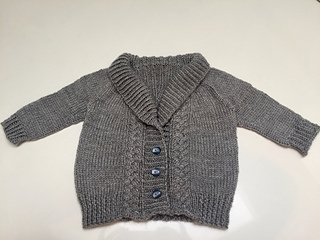 Méabh’s cardigan is a loose, cozy cardigan for baby girls or boys! 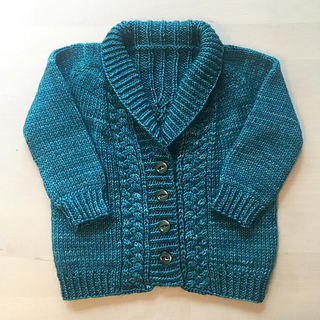 Designed for my youngest who is modeling her cardigan beautifully here. 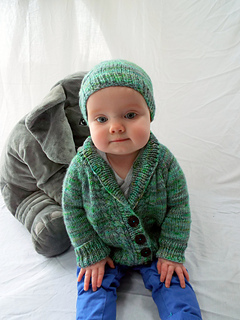 A matching hat is also available and two skeins of yarn will knit both a cardigan and a hat in the 4 smallest sizes. 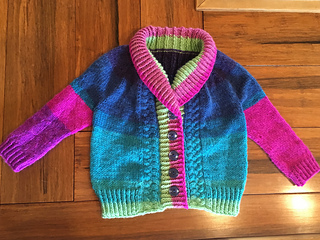 This Cardigan is worked flat from the top down. 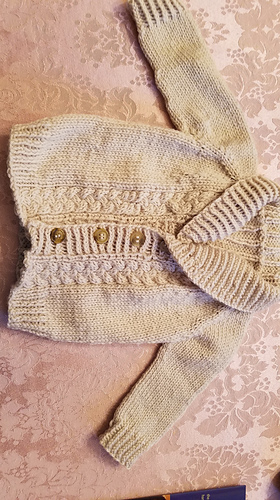 Two braided cables adorn the front while a statement cable cascades from the shawl collar down the back. 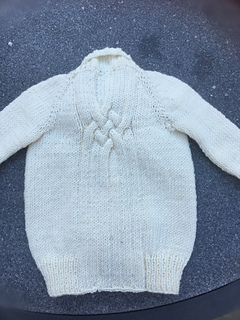 The decorative cables and ribbing flow into the twisted rib border. 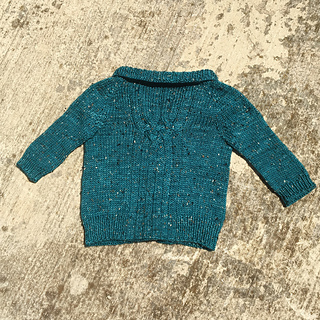 As the raglan yoke increases, stitches are set aside for the sleeves. 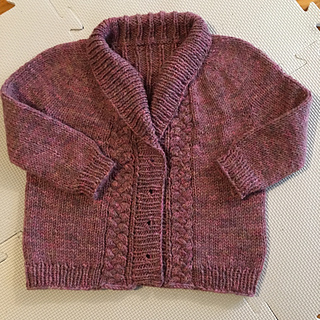 Once the main body of the cardi is completed, a twisted rib shawl collar is added, incorporating the decorative ribbing at the neck. The sleeves are then worked in St st in the round and gently shaped before finishing in a twisted rib cuff. Finished waist circumference 21.5 (22.25, 23.75, 25, 25.75, 27, 28)” by 10 (10.75, 11.5, 12, 12.5, 13, 13.5) length; 54.5, (56.5, 60.5, 62.5, 64.5, 71.5, 73.5) by 25.5 (27.5, 29, 30.5, 31.5, 31.5, 34) cm. Designed with approx 5” positive ease. 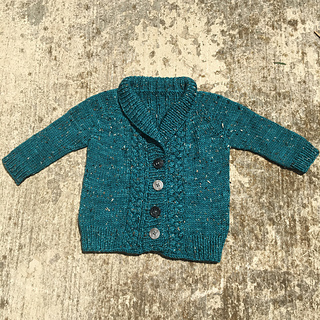 Shown in size 6-12 mths.